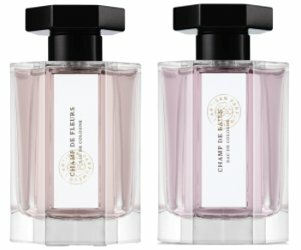 L’Artisan Parfumeur has launched a new Eau de Cologne duo, Champ de Fleurs and Champ de Baies. Champ de Fleurs ~ developed by perfumer Anne Flipo, a transparent white floral inspired by the first flowers of spring. With grapefruit, pear, lily of the valley, jasmine, cedar, musk and amber. Champ de Baies ~ developed by perfumer Evelyne Boulanger, and capturing a berry field in the early morning, with bergamot, rhubarb, nashi pear, blackberry, jasmine, white musk, amber, cedar and patchouli. L’Artisan Parfumeur Champ de Fleurs and Champ de Baies are available in 100 ml Eau de Cologne. I groaned to soon! When I read ‘baies’ I thought it was an ode to pink pepper. But apparently it means berries,* which is slightly more interesting, just not for me. *My 97th percentile linguistic intelligence is just a scam! If it makes you feel better, linguistically, L’Artisan has the name of one of the perfumes spelled wrong on their own site, and as near as I can tell, one of the perfumer’s names is spelled wrong on the perfume box. So you’re not alone! It’s not been the same since the takeover. I wore Mure et Musc (an unusual choice for me) for a while, bought from their stand-alone, much-missed by me anyway (!) shop in London’s Covent Garden, & I was pleasantly surprised by the number of compliments from friends & colleagues. I’ll be trying Champ de Fleurs with its LOTV note just to please my husband but maybe this is the one.